Postwire supports two people roles so that you can provide easy, secure access to information and exchange ideas organization-wide. Giving company-wide access to marketing collateral and product information makes good business sense. Invite someone to be a Member of your Postwire organization when you want to give him or her access to content posted to Organization Postwires--and track their consumption of this content--even though they may not have a need to share this content with others using Postwire. You might, for example, invite all employees who are not in client-facing roles to be Members of your Postwire organization. 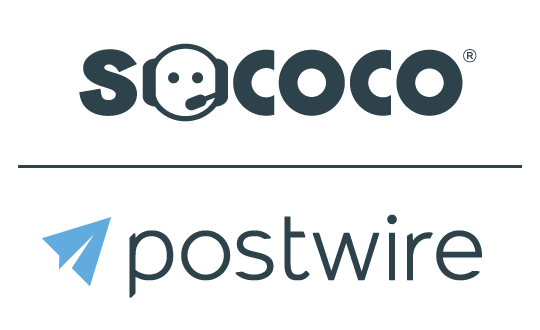 Postwire Members can consume the shared content, post comments and their activity is tracked. Members also get automatic email notifications via The Postwire Daily Digest when new content is added, sparing you from having to tell everyone about content updates. In addition, Members can repost and share the content you make available to them—and even post their own content—on up to 3 Postwires. When a Member has a greater need to share content or collaborate than that, you can easily promote them to become a Sharer. Sharers also get automatic access to content privately shared on Organization Postwires. In addition to consuming content, reposting content, uploading new content, activity tracking, and content update notifications via The Postwire Daily Digest, Postwire Sharers can also make, share and contribute to an unlimited number of Postwires. internal trainers and HR folks who need to share information internally. Postwire Admins can invite people to join their Postwire Organization by clicking first on their Organization in the drop-down menu. From the People page, you can invite people to be Members and Sharers by clicking the +Add Sharers and +Add Members buttons. See screenshot below. Clicking the Options icon by each person's name allows you to promote, demote and remove Members and Sharers from your Organization.